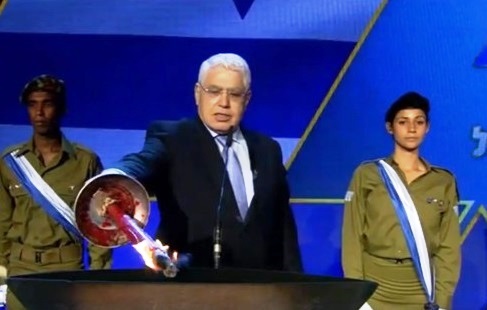 On Monday, May 1st, 2017, a Hadassah Physician, Prof. Ahmed Eid, was honored by being chosen to light one of the torches as Israel celebrated its Independence Day, Yom Haatzmaut, with a major State ceremony on Mt. 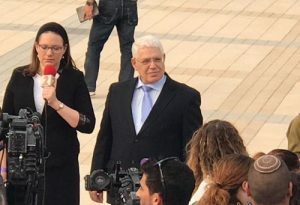 Herzl, Israel’s National Ceremony in Jerusalem. The ceremony involved performances, speeches, and a ceremonial lighting of torches by men and women who have made a great impact upon the country. Prof. Ahmed Eid lit the torch at the Independence Day Memorial Ceremony in honor of the Jerusalem doctors who tirelessly work to save lives and improve the quality of life of men, women and children. Prof. Ahmed Eid, is Director of Surgery at Hadassah Hospital on Mount Scopus. Born in Dabburiyah village in the Jezreel Valley in 1950, he is one of the leading transplants surgeons in Israel. He came to Jerusalem to study and in 1978 completed his medical studies at the Hebrew University-Hadassah School of Medicine. In 1980 he began his residency in the Department of Surgery. He was then sent by Hadassah to the United States for specialization in liver transplants. He was accepted for his clinical fellowship at the prestigious Mayo Clinic in Rochester, Minnesota. Upon his return to Israel, he began preparing for the first successful liver transplant in Israel which he performed in 1991. The operation was successful and the patient survived. He was one of the team of doctors who founded the National Center for Liver Transplants that is now under the aegis of the Ministry of Health. 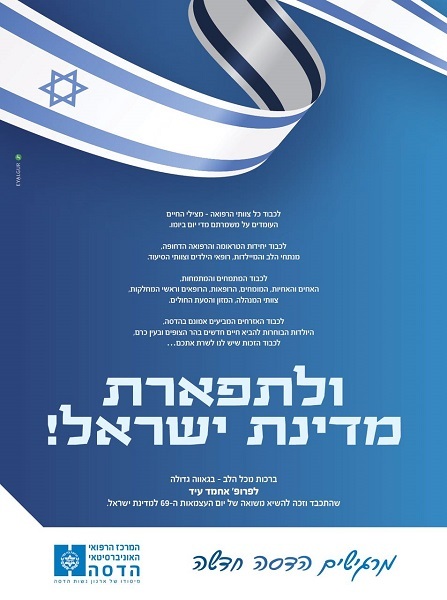 From 2008 he has been the Director of the General Surgery Department at Hadassah Hospital in Mt. Scopus. As part of his daily work, he has taken care of many terror victims. Last year, he succeeded in saving the life of Naor Shalev Ben-Ezra, a 12-year old who was brutally stabbed and near death. He also saved critically injured IDF soldier Chen Schwartz, 19, who was shot twice at close range by a terrorist on a motor scooter in Jerusalem. Prof Eid lives in the Kiryat Hayovel neighborhood in Jerusalem with his wife Lumenitza. He has five children and one grandchild.